Reporting on tragedy requires thick skin. The Dart Center for Journalism and Trauma offers help to journalists who find themselves in grievous circumstances. When the Duisburg Love Parade went from celebratory to hysterical, reporters, photographers and cameramen faced a great challenge: Suddenly they had to report on a catastrophe instead of a party. Despite years of training, journalists react as emotionally as everyone else in these kinds of situations. Founded in 1999 at the Department of Communication at Columbia University, the Dart Center for Journalism and Trauma serves as a global forum for journalists who report on violence. The aim of the Dart Center is to encourage moral, sensitive and ethical reporting on disasters and wars. The BBC and Westdeutscher Rundfunk (WDR), a German public broadcasting station based in Cologne, have been collaborators for several years. Petra Tabeling, German coordinator of the Dart Center and a close observer of the German media scene, analyzed the press coverage of the Love Parade and the corresponding behavior of journalists. Tabeling works in a small office in Cologne shared among freelance journalists and editors. Here, she maintains contact with colleagues in London or Washington via phone, email and Skype. Tabeling hopes to sensitize young journalists to issues associated with disaster coverage in order to raise awareness. “The issue primarily concerns local reporting, because rampages can happen everywhere, anytime,” she says. “I’ve noticed that many journalists have taken up their own rage and implemented it into their articles,” she says. Rage can surface as a potential reaction to trauma. Tabeling believes WDR coverage in particular has been extraordinarily appropriate and reasonable. Most of their reporters, she says, received special trauma training during Dart Center seminars. The German Press Council dealt extensively with the Love Parade. 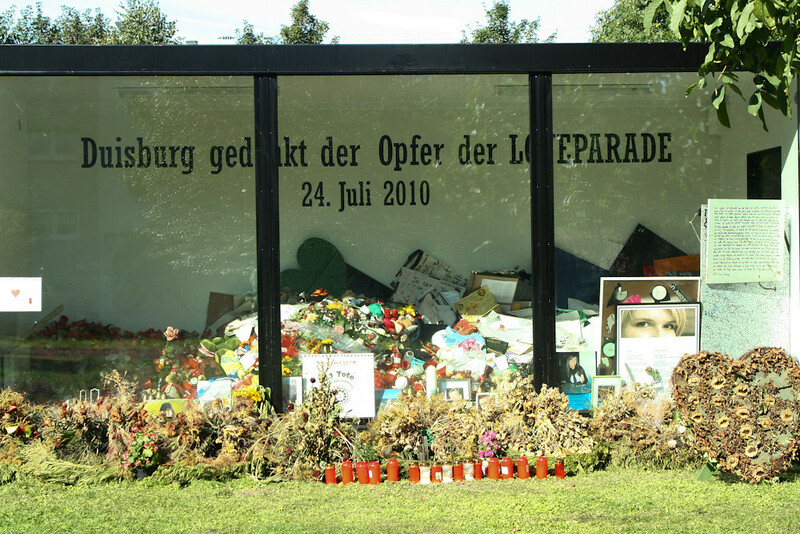 The voluntary self-regulation board received more than 230 complaints about reports on the mass panic at the Love Parade – more than ever before. Shortly thereafter the German Press Council published a special guide on how to report on shootings. The guide outlines many examples of incidents along with the decisions and recommendations of the Press Council, which are focused on the protection of personal rights. Among the first actions taken by the Press Council was admonishing the publication of photos of shooting victims at the Love Parade. In the seminars offered by the Dart Center young journalists, journalism students, editors, editors-in-chief and cameramen learn how to manage contact with eyewitnesses. “They must allow breaks and tears,” says Tabeling. A journalist should never ask an eyewitness how he or she feels. “This causes tears,” Tabeling states. As a freelance journalist, Tabeling knows what newsrooms expect from editors and journalists in moments of catastrophe. “Of course, the journalists should carry out their tasks, but they should do it carefully,” Tabeling says. In many instances journalists are simply left to themselves, yet this shouldn’t be the case. Andreas Sträter studied Journalism at TU Dortmund University. He works as freelance journalist for the German news agency Deutsche Presse Agentur (dpa).